Dimensions: 71" x 87" x 34"
Weight (dry/full): 535 lbs. / 3,155 lbs. Duramaster Polymer Skirt (Available in Espresso or Graphite). DELUXE 4" to 2" Tapered Cover (Available in Slate Brown or Charcoal). Extended Warranty (Upgrade 1 years to 3 years Parts & Labor). VISIT OUR SHOWROOM FOR A FREE CONSULTATION. At Premium Wholesale Home & Leisure we have helped thousands of families escape their hectic lives. Design your perfect backyard outdoor oasis or your ultimate games room! Choose from top brands which can be readily seen by visiting any of our Ontario warehouse showroom locations in Kitchener Waterloo, Mississauga, and Toronto. 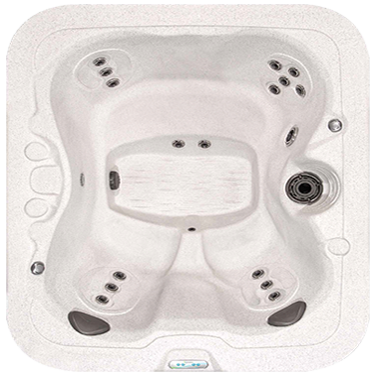 With over 40 different spa models on display you will never have to buy from a picture. Buying wholesale direct gives our customers the best value and you can always rest assured that your purchase will be backed by the expertise and support of our service staff. © 2018 Premium Wholesale. All Rights Reserved.